Since bidding its previous entity as Singapore’s first civil airport Kallang Airport goodbye in 1973, Old Airport Road Food Centre has changed for the better by becoming a food haven for all. Now, the two-storey building likens to a culinary labyrinth, filled with more than 100 hawker stalls that offer an exhaustive array of both local and some international delights at low price points. Long queues at a hawker stall are a reliable indication that the food is good. 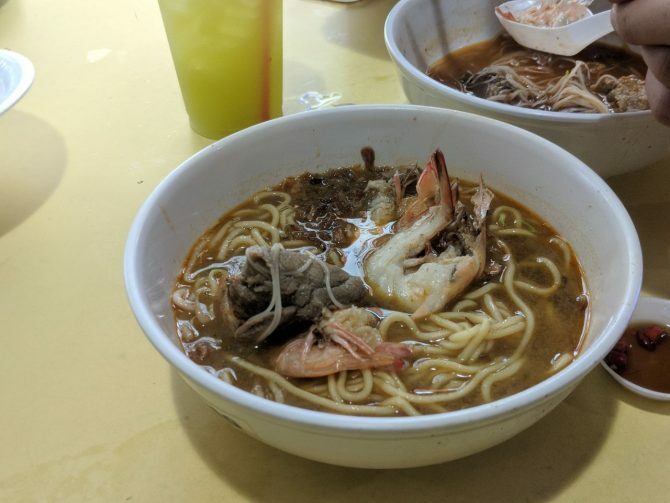 And while Albert Street Prawn Noodle mirrors this very aspect, the wait-time is pretty short as the on-duty cooks and helpers display great efficiency in churning out its bowls of prawn noodles. With origins dated back to 1963, the stall has been winning people’s hearts with its aromatic prawn noodle bowls, where the secret is the generous use of shallots for that umami goodness. The broth is thick and rich and the prawns are plump and fresh. The soup version offers a better representation of the stall’s iconic dish.